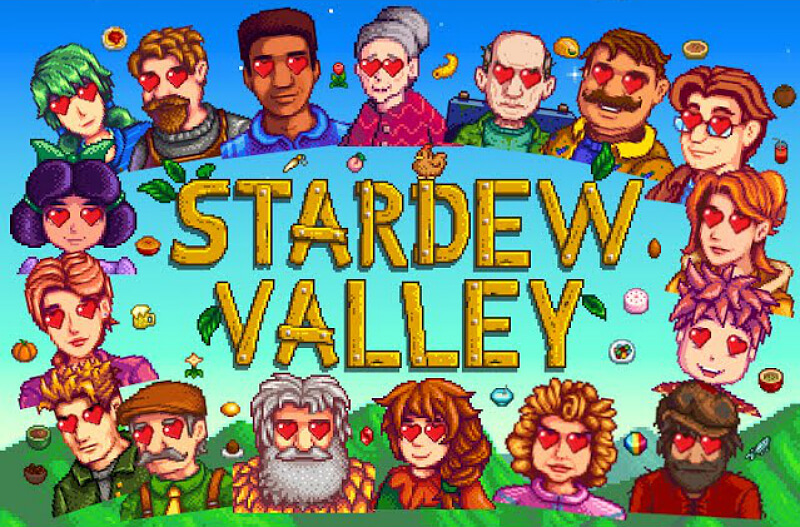 I decided to play starting with hilltop farm. When I first started it looked like a nightmare. The farmland was divided into thin strips and sections. But I stuck with it and tried to figure out why it exists. Firstly the quarry area had copper nodes spawn in it, so I was able to get copper for tool upgrades and crafting without even entering the mine. Now in game, I also have iron and gold spawn there as well as geode, ice geode, and magma geode nodes. At one point the meteor event happened and it landed in my quarry. I don’t know if it’s a coincidence because it happened to be a large flat area that it could land on and the map was mostly narrow strips, or if it’s coded to land there. But that’s where it landed. There’s a river twisting through the map. At first, it was annoying. Now I have a long twisting row of crab pots. I also saw a shining panning spot. Growing crops is painful because I have to divide them up into groups. 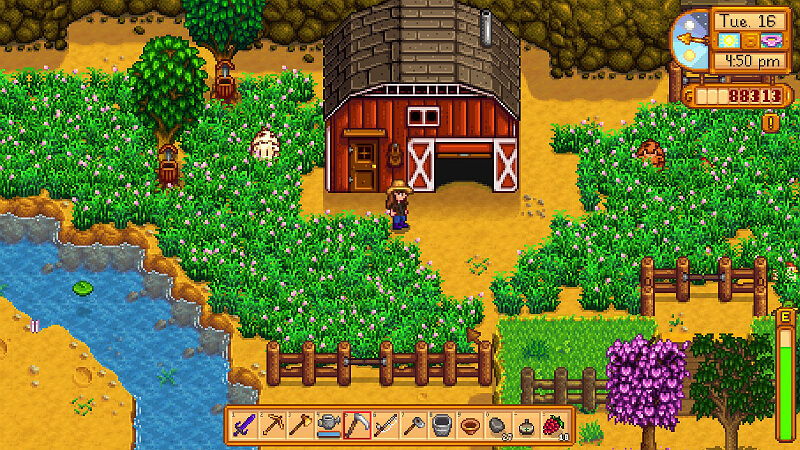 But then I unlocked the greenhouse. The greenhouse doesn’t care what map you choose, I’m pretty sure the interior is always the same. The same with buildings. Building interiors are always the same. However, finding spots to set them down is a chore and haphazard is the only way it can be done. With the crab pots and fish trash recyclers, I have an unlimited supply of refined quartz and coal. So crop planting is hard since one has to divide the crops up into chunks. Building placement is painful because there aren’t a lot of spots that can even fit them, and there’s no chance of convenient placement. However, the early access to copper and later access to iron and gold is very nice. 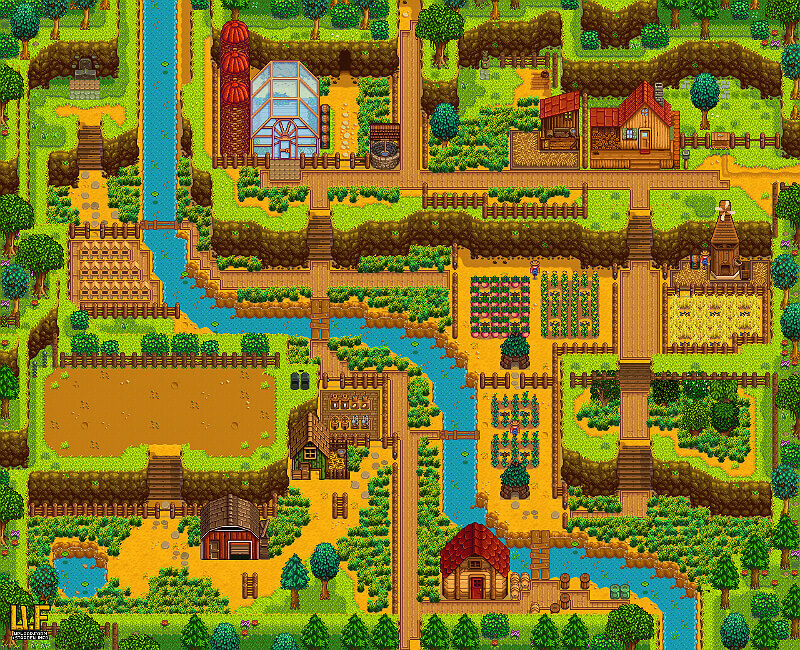 And the river running through the farm with crab pots on both sides combined with trash recyclers combined with the quarry right there on the farm makes crafting very easy. The geode nodes can provide gems and minerals from the opened geodes needed for crafting. 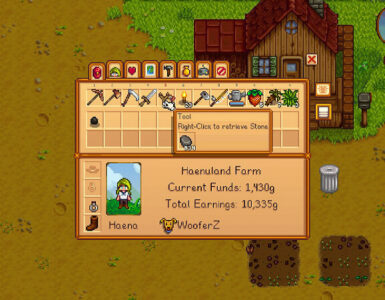 As a farm for growing crops, hill top farm is pretty bad until you unlock the greenhouse. And placing farm buildings is also pretty bad. But when it comes to generating crafting materials, it’s the best. Well so far. 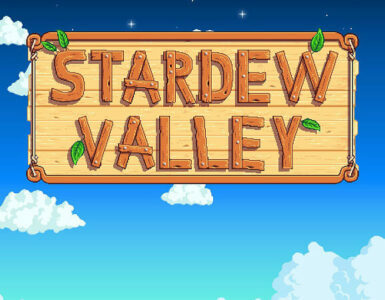 I’m playing as the forest farm in another save right now, and I have some experience with the wilderness farm which looks like it’s great for farming monster loot. You have a huge natural pen just south of your farmhouse, which means very little fuss with fences (Img 1). The Quarry Area will spawn Copper, Iron, and Gold Ores. The Quarry Area will spawn Normal and Magma (and I assume frozen but I’ve yet to see one) Geodes. 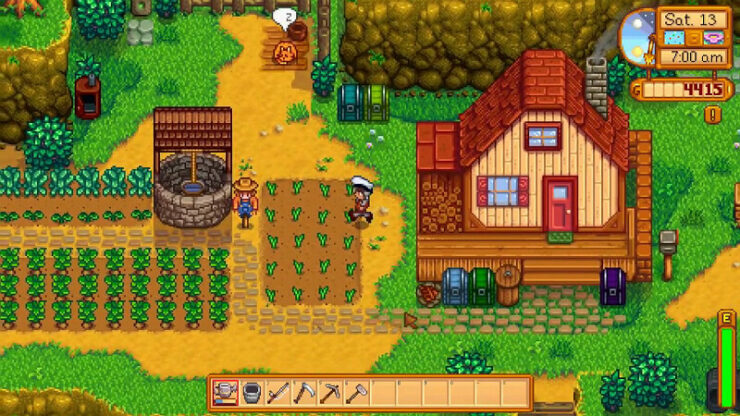 The main farming area is right next to the Greenhouse, which makes all your plants right near each other. 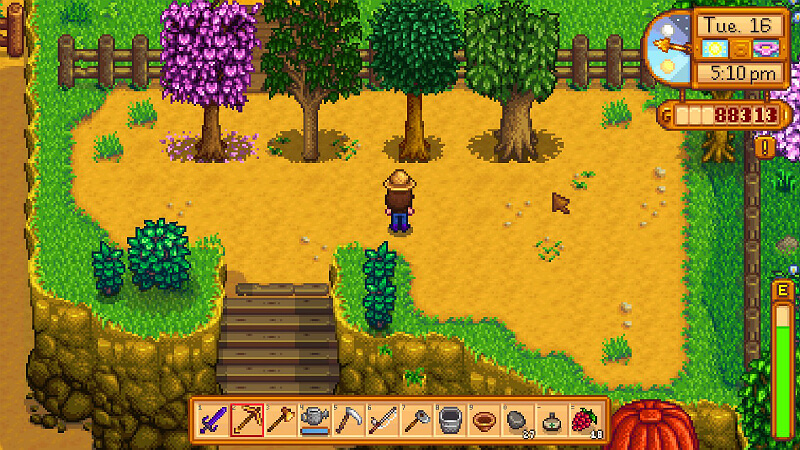 There’s a nice little area that can be turned into a little fruit tree area just south of the “animal pen” (Img 2). Stones broken on the Hilltop Farm can randomly yield Frozen, Magma, and I think Omni Geodes (I had an OG in my inventory on a day I didn’t touch the Mine, Quarry or Fishing so I assume that’s where I got it. With the perk that doubles your chances of finding geodes, even the normal stones in the farm’s quarry area is awesome, lol.